Performers young and old are encouraged to email an application to teresagillis100@gmail.com by April 19th. Download the application. Starting as "Hometown Idol" in 2012, this year welcomes talent in all age and genre categories from dancers and singers to poets and garage bands. Tickets will be available at the door ($12 for adults, $10 for seniors and students, free for kids under 5). The fundraising event will also feature a silent auction and 50/50 raffle. 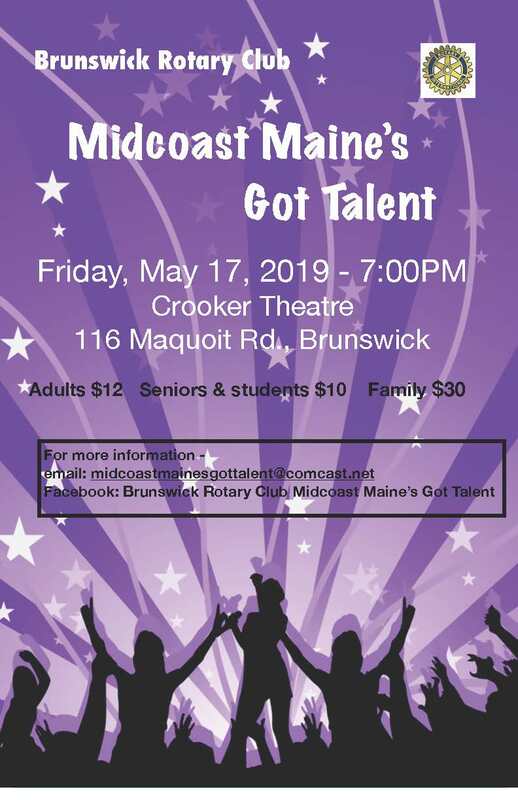 For more information, visit the Brunswick Rotary Club Midcoast Maine's Got Talent Facebook page.